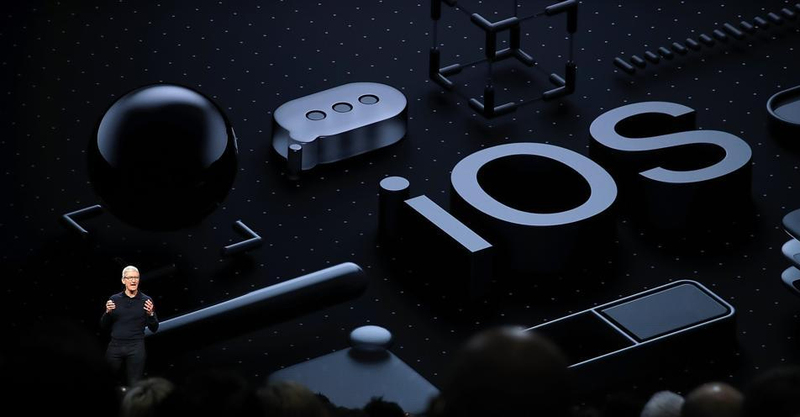 Apple kicked off its WWDC 2018 with the announcement of its new and upgraded mobile platform, iOS. As expected, Apple announced iOS 12 which will be available on all devices running iOS 11. Apple also revealed that 81% of its devices are running on iOS 11. The company also said that customer satisfaction garnered on iOS 11 is 95%. With iOS 12, Apple has laid focus on performance and Augmented Reality (AR). Apple will be doubling down on performance on iOS 12 with apps launching twice as fast, and throttling CPU to the max when needed. Apple has also kept older devices like iPhone 6 Plus in mind. iOS 12 will load apps up to 40% faster on older iOS devices. Apple has heavily upgraded its augmented reality platform for iOS 12 and has partnered with popular global brands for its implementation. Apple announced Universal Scene Description Optimised (USDZ) in partnership with Pixar to launch a new file format for AR. Place 3D objects into the real world. Apple has also partnered with Adobe to integrated iOS into the company’s Creative Cloud. Apple has also launched a new app called ‘Measure’. As the name suggests, you can use this app to measure objects, lines easily. You can tap on one point and drag it to the other to measure an object. This app will also show measurements with dimensions of objects. Apple has updated its ARKit platform with ARKit 2 which features improved face tracking, realistic rendering, 3D object detection, persistant experiences, and shared experiences. For ARKit 2, Apple has partnered with LEGO which lets users augment a digital environment onto an existing physical LEGO house. You can augment characters, vehicles that can be driven around thereby creating an AR game in itself. You can augment inside the :EGO houses as well. ARKit 2 also comes with multi-user support which lets up to four friends play at the same time. You can save the game and pick up where you left off. LEGO ARKit experiences will be coming to App Store later this year.